Carlitos is using Smore newsletters to spread the word online. 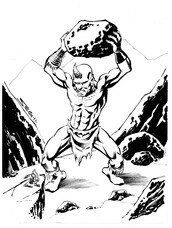 In Jimmy Joe's website "Giants",the hundred handed giants and the originals Cyclops were the most significant figures in Greek mythology because they were strong, misjudged, and patient making them the key to victory in the titan war. In the titan war the Olympian gods wanted to overthrow the Titans. Since they were even in strength they needed more power and they released the hundred handed giants and the cyclops which gave them the boost of power and the cyclops forged the weapons of Zeus, Poseidon, and Hades. For example, the cyclops were released and forged the trio-gods their master weapons making each of them stronger, and their success against the titans were insured when the hundred handed ones helped the Olympians. Jimmy states, “The Cyclopes became known as master smiths and as master builders. 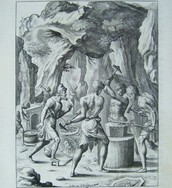 The Cyclops was responsible for making several weapons for the younger gods:Thunderbolt for Zeus, the Trident for Poseidon, and the Cap of Invisibility for Hades. Victory was ensured when Zeus also released the Hundred-Handed. Because there were three Hundred-Handed and each giant had a hundred hands, they could hurl 300 large boulders at the Titans” (Joe 21). This is the place in where the three cyclops and 3 hundred handed giants were imprisoned by both their father and their brother Cronus. 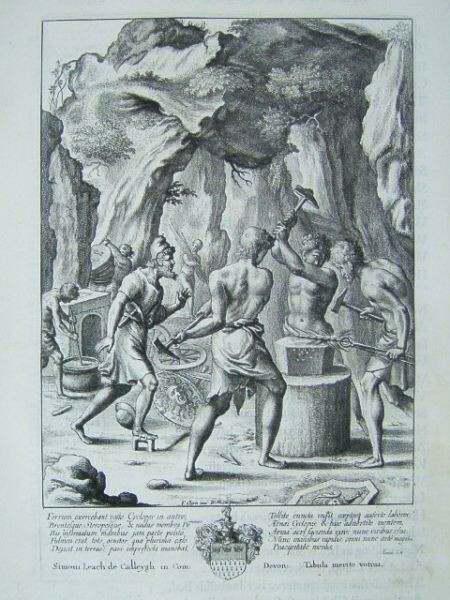 Here is the three cyclops forging with Hephaestus. 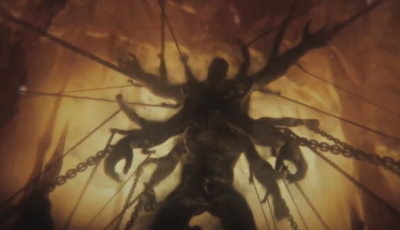 The cyclops where known as the master builders because they build the weapons of Zeus, Poseidon, and Hades. This shows how the hundred handed ones and the Cyclops were very important to the Olympians’ victory in the war against the titans. 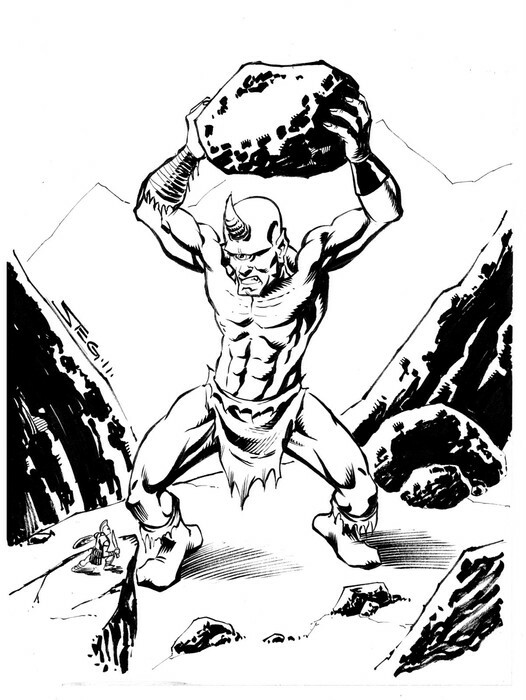 The the hundred handed giants mostly helping in strength and Cyclops with upgrading and giving weapons to the gods. The were both very patient in the long wait of being released from their imprisonment for being big and ugly. After Zeus freed them they joined him. The hundred handed ones and the Cyclops are the most significant figures in Greek mythology because they were strong, patient, and helpful. They were the reason why the Olympians tipped the scale in power in the titan war and why Zeus, Poseidon, and Hades have their main weapons. "Cyclops." Mythology Wiki. N.p., n.d. Web. 17 Nov. 2014. "Greek Mythology." 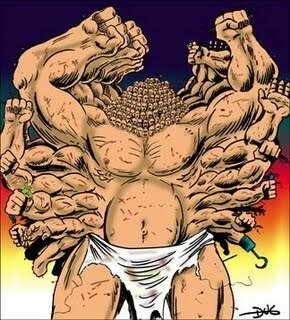 : The Hundred-Handed Ones (Hecatoncheires). N.p., n.d. Web. 17 Nov. 2014.